QM for beginners is probably best described by the Bohr Approximation for the hydrogen atom. This is a toy approximation with a lot of details simplified (an thus distorted and inaccurate), but it gets some of the essentials in place. 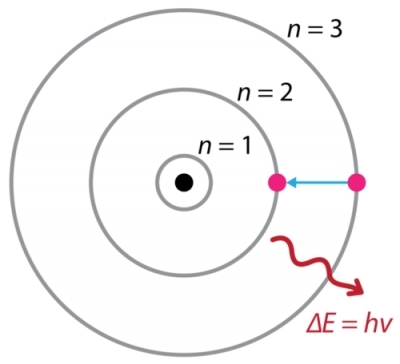 In the Bohr approximation of the hydrogen atom, we have a 2 dimensional model of the electron's orbit around a proton. This is classically akin to a satellite orbiting a planet. The difference however is the altitudes or distances that the electron is allowed to orbit only at specific altitudes. 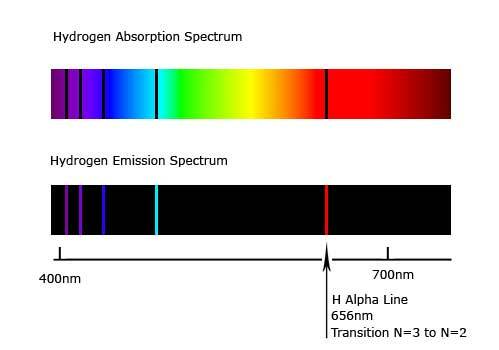 Again this Bohr atom is an approximation, there are some inaccuracies in the Bohr description, but it was good enough to approximately explain the emission spectrum of hydrogen. Bohr could not actually "see" the electrons in orbit, he had to model its behavior by guessing (making an inference) form available data. The orbital altitudes were thus at discrete or "quantized" levels, hence this is likely the reason quantum mechanics is called QUANTUM mechanics. The Bohr model looks innocent enough, but innocent looking results led to disturbing and spooky implications about reality and even God as scientist followed the evidence further. Unfortunately, the rest of quantum mechanics is not so easily explained, and it requires rather brutal and tedious math and descriptions. Again the experiment looks innocent enough, but when the implications were considered it began to give scientists suspicions that the future can affect the past, that events in the future are entangled with events in the past, that consciousness is real and separate from the material world, and that it is possible, even likely God exists. Now it turns out the spooky particles have some properties that make them have certain behaviors that can be probabilistic modeled. 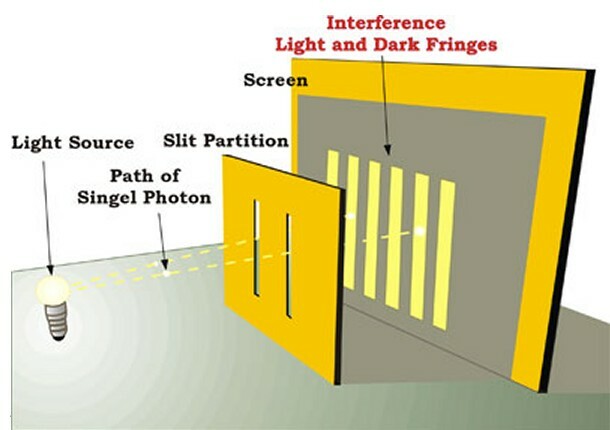 For example, even though the spooky particles can be amorphous in space and time, they tend to present themselves as if they visit certain locations at certain times more frequently than others, hence the Bohr model becomes a nice approximation of the expected average behavior of an ensemble of hypothetical electrons. By way of analogy, even though we flip a fair coin and might be uncertain whether it will land heads or tails, if we flipped it a million times, we can expect on average the fair coin will land heads 50% of the time. We can measure and observe this sort of expected or average behavior experimentally. The distribution of probabilities of coin flips is easy enough (relatively speaking) using the binomial distribution, but the probability description of quantum systems is substantially harder, it is a quantum leap (pun intended) over simplistic probability distributions. A non-relativistic model of probabilistic quantum behavior for a wide range of phenomenon is described by Shrodinger's equation. Unfortunately, we are now getting into some nasty details, and from this point on, Quantum Mechanics (QM) starts to become bogged down in a lot of agonizing details. How this all connects to God and intelligent design is not absolutely inferred by quantum mechanics, but is only suggested. 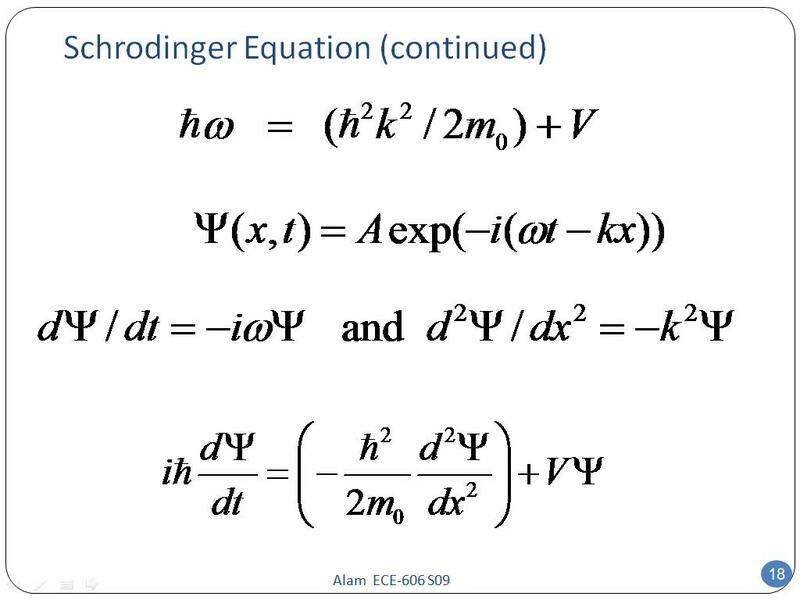 It took Griffiths an entire book to connect Schrodinger's equation to the philosophical question of an observer who chooses to look at a quantum system and affix properties to it. This led to Wheeler and Tipler and others to postulate an Ultimate Observer that governs the Universal Quantum System which we call REALITY. Some, like Richard Conn Henry, call this entity "God" or in his exact words "Grand Omni-present Spirit (GOS)". Realist position. The particle was at C. This seems like a sensible response, and it is the one Einstein advocated....some additional information (known as a hidden variable) is needed to provide a complete description of the particle. The Orthodox position has theoretical and empirical support, and following the implications suggests that there is a God who is the Ultimate Observer that produces the ultimate measurement that creates all things. That was the deduction of Richard Conn Henry as articulated in his writings including Nature 2005. Tipler and Barrow generalized Schrodinger's equation to argue God exists based on the Copenhagen interpretation. To explore the Schrodinger equation in more detail, I'm starting a separate thread.